January | 2014 | Holy. Just. Love. Are you usually the one who questions the status quo or always bucks the system? Are you considered a system buster, looking for better ways to do things? Do you not always follow the rules? Many younger generations in their teens, 20s, and 30s, are this way. They were almost raised this way. Consider these two verses. While system busting is not all bad, don’t get caught in the trap of turning into a complainer and an arguer. Worse off would be if you became that person in church who is always complaining about how loud the music is, or that so-and-so did such-and-such. Grow in your walk with Yashua and remember to try to go with the flow of your leadership Yahweh has put in place. Man is fallible but you will be responsible to Yahweh as well based on how well you obeyed your leaders. They will be accountable for how well the led. When you want to learn a new language there are several options: immersion or foundational. My issue with immersion is that I am not learning Hebrew to only speak it. My main goal is to read, write and understand it and also speak it. Most apps and learning tools just want you to speak and understand, not read or write. The Hebrew alphabet (aleph bet) is very different than the characters used in the alpha bet I am used to. Even learning Spanish or French uses the same alphabet so figuring out pronunciation is somewhat easy compared to learning a full set of new characters. So that is where I started. I needed to memorize the new characters, their sounds, as well as the vowels and other accents. There are a lot of similar sounds, similar looking letters, and exceptions to rules, as well as very different looking fonts for the same letters that will all make you say Oy Vey! Once I fully got used to a font set my teacher would introduce another font of the same letters and I would mix them up. Back to the drawing board. I needed to find as many fonts of the aleph bet that I could so I know the variations and can spot them so I know the letter. It is like our capitals, lower case, and script. They all look different. Take our letter “Q” and how different the upper and lower and script fonts are from each other. At least with Hebrew there are only 22 consonants, 8 vowel markers, and 5 final consonants. Now that I have all the letters figured out (for the most part) I am now learning simple words and phrases to start pulling all the letters and sounds together. It has been super fun and exciting to see it all start to make sense. Below are some tools I have found helpful along the way. 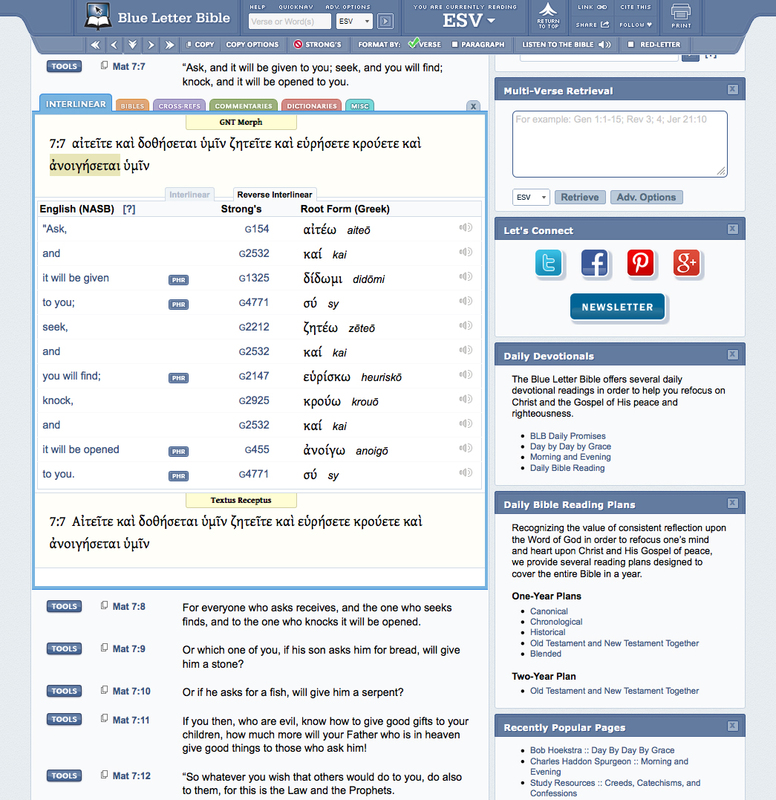 I have looked into a lot of language tools but the best ones are the ones that include the Hebrew text along with both the translation and the transliteration (how to pronounce it) as well as a recording of the phrase so you can hear the pronunciation. I have looked and looked for tools that do all 4 and there are not that many out there. 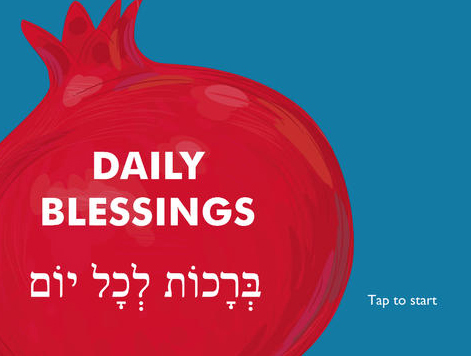 Daily Blessings App (By far my favorite) An App that gives you all the traditional blessings with the Hebrew text, transliteration, translation and audio version of the blessing. Great learning tool. The Mishkan T’filah App (I recommend buying the book) The app is a bit pricey because you have to buy each set of prayers separately. This is also great because it includes the Hebrew text, transliteration, and translation. I hope this helps if you are interested in starting your own journey to learn Hebrew. I just got unfriended on Facebook because of Jesus! Join me in Today’s Daily Bible Reading!